Italian-American influences are prevalent in the world that we live in today, and the auto industry is just one example of it. In its long and storied history, the auto industry has produced a number of cars that share both an American and Italian lineage. Today, the tradition is being brought back to life by some of the most exotic automakers on the planet and the Top Marques show in Monaco will play host to two of them. We’ve already touched on the Spada Codatronca Monza a few days ago. Today, we present to you the Soleil Anadi. Now built under the Soleil Motors brand, the Anadi is actually the final version of a car that was three years in the making. 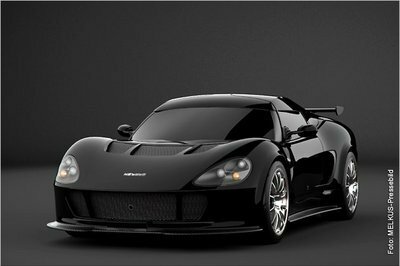 Intially conceptualized by Ugur Sahin as a Corvette Z03 concept study back in 2008, the project gained some traction a year later when the designer began collaborating with tuning firm Mallett Cars in producing a one-of-a-kind Corvette-based supercar. After a few years of further development, the car, now christened as the Anadi, is scheduled to be introduced in one of the most prestigious auto shows in the world, the Top Marques in Monaco. The car’s design has gone through some noticeable changes since it’s first rendering. 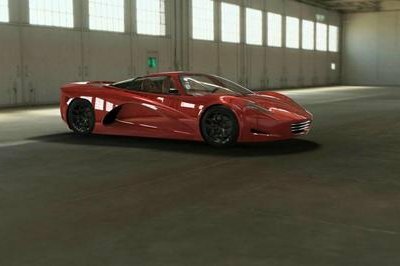 Some of the most noticeable ones include a more aggressive rear end compared to the boxy Corvette-style rear end that was part of the first two designs. 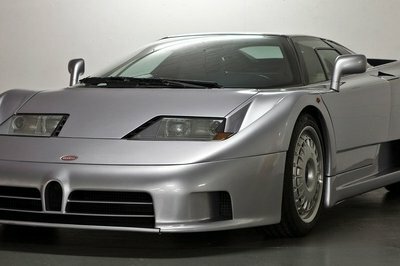 On the flip side, the Anadi’s front end is cleaner and more subdued than the aggressive, shark-like design of the past versions. The folks over at Soleil were kind enough to send some photos our way, but if we want to get the full scoop on the Anadi, specifically what kind of powertrain sits under its hood, we’ll need to keep our seatbelts on and wait for the car’s official reveal at Monaco in a few weeks. What’s the level of their credibility? Throwing the worry aside, their workmanship is very apparent on this innovation. 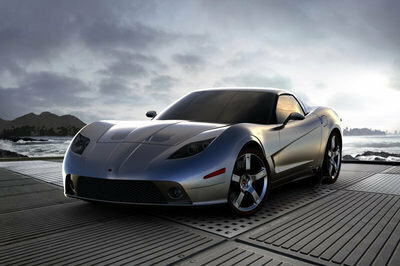 They are great automaker so you will surely not be familiar with this car and expect an exotic production from this one. I do like the design of the car which is very rare, and it really has that a super car must have. hmm. Well, I’m not really familiar with this car company and I don’t know what’s there credibility in making car plus it wasn’t mentioned the specs of this car so I can’t figure out on what to expect from here. I’m not satisfy with the design of this car and I don’t think that they have used smartly the three years of conceptualizing this car. Well, I don’t think that this car has a unique. I already saw the design for the bonnet and on the body the only unique on this car is the rooftop. 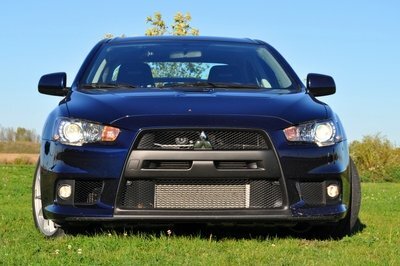 Looks more of a Corvette or the last car design I saw, the Lancer EVO XI. Looks a little bit on the exotic side, by the way, when will they be releasing this beast out in the wild? With almost all the concept cars releasing models every year, at some point most of them look similar in design and specs too. there should be someone who should design something like this. This one looks different. May be due to their 3 years of designing, this is the result, and hope the real model looks much better. Well, since this one is already being built, we can expect to see one of these babies sometime soon. It’s just too bad that they are only coming out with a few units. Well, I can’t really say anything about this one except that it looks good as a design. Hope the actual car would really be as captivating as these drawings. Come to think of it you are right, this is a bit different from the usual super cars that you see around. Just take a look at Lamborghini and Ferrari, they look too similar with each other now. Looks a bit too exotic to me. But that’s not to say that I don’t like this car, maybe it’s only due to me being accustomed with the more popular brands’ designs. Well, this one looks a bit too much on the exotic side of super cars. But this actually looks very good. And the performance numbers are actually looking very good. what a hideous car! I’ll be considering this car as one of those pointless cars that was ever made in the history of the automobile! Just imagine, the design of Pagani, Koennisig, Bugatti and other exotic cars, this one is just a crap. I think team creative should enhance the styling of this car. So when will they be releasing this one? Looks rather promising to me, but I will just wait and see what kind of performance it will have. Never heard of this brand before, but their work is actually rather impressive. Now , we’ll just have to wait and see if the actual car would really be as good as the rendering we are seeing here.